DigiCamReview: This is a very good digital camera, a definite improvement over the older Panasonic FZ series digital cameras – with a 6 megapixel sensor, a high quality Leica 12x optical zoom lens, and a 2.5″ screen – albeit with a low resolution. The camera has a very good wide aspect ratio video mode. The camera produces very good images with good color, detail and sharpness straight from camera – unfortunately noise is high, and purple fringing is higher than average. I’ve had the FZ3, an earlier 3 megapixel version, and been immensely happy with it, I suspect I would be very happy with the FZ7 if I were to upgrade. With the FZ7 (and FZ3) it is necessary to learn to live with the lower ISO settings to avoid noise, something that shouldn’t be a problem as the rest of the camera is so well thought out and put together. The FZ7 is fast and easy to use with scene modes or full manual controls to suit every level of experience. DigitalCameraReview: For many digital camera buyers image quality is the single most important consideration in their purchasing decision. However, exactly what constitutes superior image quality will always be relative and subjective. I have a favorite 11×14 Cibachrome print, made (in 1988) from an Agfachrome RS100 35mm slide. That print is sharp as a tack, all colors are hue accurate and absolutely neutral, there’s no image noise, no blotching, no fading (after almost 20 years), and no purple fringing. Some potential purchasers may eliminate the FZ7 from their considerations because of its slightly higher than average noise levels and that’s too bad. Most digicam buyers use their images for 4×6 prints, on-line photo albums, an occasional 8×10 enlargement, and for sharing (via e-mail) with friends/relatives. The FZ7 will excel in all those applications. This camera comes tantalizingly close to the mythical ideal prosumer digicam. With very little in the way of genuine competition, the FZ7 may be the best prosumer digicam choice (based on features/capabilities/performance vs price and at this point in time) for serious shutterbugs and advanced amateur shooters. Photography is not just a science – it is also an art, so it is important not to get too hung up on stats and specs. Noise, blotching, and purple fringing are (to a lesser or greater degree) present in all digital images and the only practical way to reliably (and completely) avoid these frustrating electronic anomalies is to shoot film. 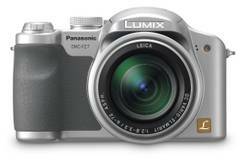 PhotographyBLOG concludes with rating of 4 out of 5 that the Panasonic Lumix DMC-FZ7 is a stylish, easy to use, advanced camera with that 12x zoom lens as its main attraction. The noise issue is by no means a show-stopper, particularly if you live in a sunny climate or tend to shoot mostly outdoors, but it does stop me from recommending this camera more strongly. If you’re really interested in the massive focal range on offer, then the Panasonic Lumix DMC-FZ7 should definitely be on your shopping list.